For all the hotdog lovers out there, discouraging news on the health front continues to haunt you. Hotdogs are bad for your health. Yes it is true! Those tasty bites that we enjoy during baseball games and barbeques are loaded with unhealthy animal fat that provide 80 percent of the dog’s calories. Curious minds at Madrid’s Institute of Structure of Matter, CSIC, are searching for a healthier alternative to this fat intense meat product. Preliminary results suggest the hotdogs can be redeveloped using an olive oil emulsification process. 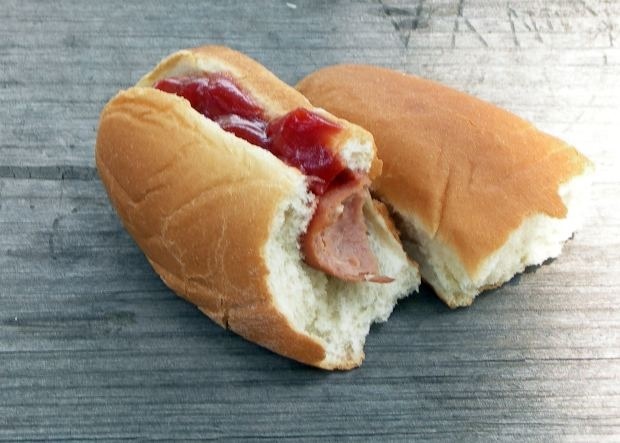 The problem is the hotdog becomes tougher and very chewy when this approach is used. Consumer acceptance could significantly drop, making it hard to market. Part of a hotdog’s appeal is the current texture. An alternative to this situation is to substitute the real thing with a veggie dog. The advantage is gaining nutrients and losing unwanted fats. Yet, it isn’t the same. Another option is eliminating the hotdog from our diet. Most of us just really enjoy eating a hotdog. The next best option when not choosing the veggie dog route is limiting hotdog consumption. The good news is that lots of people like hotdogs, fat and all. The search is on for a tasty way to improve that tasty morsel. Information is passed on to food manufacturers when possibilities are found. Eventually, someone will stumble upon the perfect solution for the fat- packed product. For now, changes are still at the drawing board. Hope for a successful replacement still exists. The perfect hotdog for baseball and barbeques is within reach. Experimentation with combinations of texture and flavor will result in a healthier, suitable replacement in time.